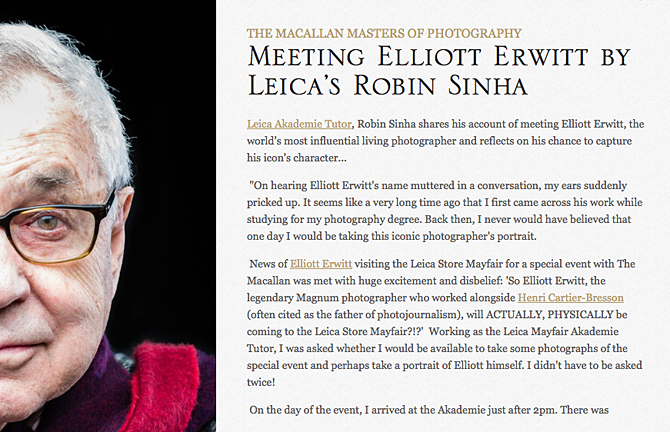 My account of meeting legendary photographer Elliot Erwitt is featured on The Macallan website. To read the full account click here. This entry was posted in Photography and tagged ELLIOTT ERWITT, LEICA, LEICA CAMERA, LEICA STORE MAYFAIR, PORTRAIT, THE MACALLAN. Bookmark the permalink.